Perhaps, using the reserves (or increasing the race fees) would allow us to try having events in places where we may not get many competitors, so take more risks, or, to put it another way, provide something for members who do not live near London or in the Midlands. If we choose venues purely on the basis of whether they are cheap enough and we get enough competitors to break even then perhaps we are not fulfilling the purpose of the club, which is to encourage as many people to get involved in HPV-related activity. I agree with Kim and Brian, that combining race events with other activities is something we should try again (it has been done in the past). Although the Edinburgh Festival would create all sorts of travel and accommodation issues! As Heather says, we have fairly substantial reserves. I would like to see some discussion amongst the membership as to how they would like those reserves to be used. Personally, I would rather they are used to broaden the activities of the club and attract more people to it, rather than use them to cover shortfalls in operating costs. I think we should consider the membership impact of racing at some tracks where we get publicity just by being seen racing even if they are expensive. For instance we no longer race at Herne Hill Velodrome but we picked up a number members back when we used to race there. Me for one. @Arellcat would you like to lead on getting funding for the BHPC use of the Fife track? We could also use the funding for a media bliz of the event. Although I am loath to suggest tapping the government shilling our treasurer is right that an event must pay for itself. We are faced with a chicken and egg issue having events at the edges of our country (e.g. Cornwall and Kent) because travel distance keeps the numbers low. If the event can be made a weekend event then people will travel (e.g. WC2018). Having read what the funding is for "Sustainable travel" I don't think a BHPC race falls into that, and minimum grant is £5k, or am I not understanding the purpose of your proposal? A demo of velomombiles on race tracks is promoting sustainable travel I would have thought. Velomobiles are ideal for Scotland. They have pretty flat cycle pathes and cold wet weather. Can't think of anything I'd rather use for most of the year. To quote Mr B if they want the points they will come. 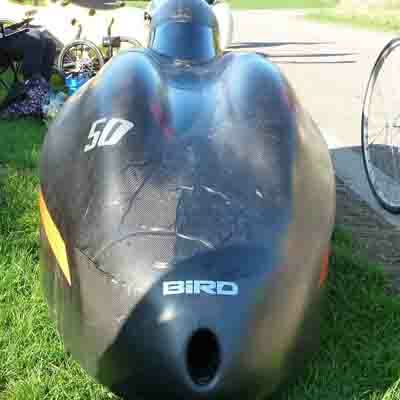 Many years ago, Steve Donaldson organised a BHPC British Championship in and around Edinburgh, with about four events (including a road time trial!). This was well attended, perhaps because of the draw of being crowned British Champion or because there were a sufficient number of events to justify the travel? It must also be remembered that we do have quite a few members in Scotland! As I suggested at the AGM, perhaps we need to map where our members live, as I did when I was trying to organise Local Reps - there may be clusters of members in places where you wouldn't expect? We used to race every year in and around Edinburgh in the UK BHPC Points Championships 20 odd years ago when I was racing. It was always well attended. There are two recumbent bike shops in the locality. One in Glasgow and one in Edinburgh. Which must help with attendances. I think there is a Google app that you can use because the Volvo owners club has an interactive Google map that you can enter your own home and it shows you where other members live. Well not really, it would demonstrate that velomobiles can race. However, back to the crux of the matter and the first barrier, the funding matches money put in by the applicant, the minimum matched fund is £5k, it doesn't cost £5k to hire a track, plus looking at the other approved applications they are not only for sustainable transportation but also of a sustainable nature, i.e not one off events.